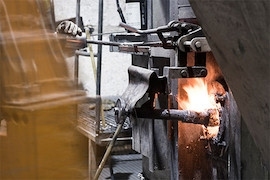 It is a versatile process for producing engineered metal parts, by forcing molten metal into reusable steel moulds under high pressure. These moulds can be produced as complex shapes with a high degree of accuracy and repeatability. 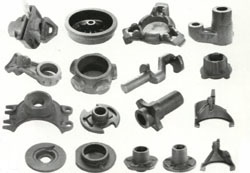 Parts can be sharply defined, with smooth or textured surfaces, and are suitable for serviceable finishes. We provided high quality affordable solutions for die-casting with surface finishes that are consistent dimensionally with precision features and minimum draft, our products are widely used for various industries. We manufacture precision die-cast components with low tolerance in complex shapes and designs with minimal porosity, hardware surface finish and thin wall thickness with practically no limits in areas of angularity, perpendicularity, concentricity, centre distances, parallelism, run outs and eccentricity. We are producing quality components in die-casting, as well as various type of secondary processes that meet the international standards; Anodized, Buffed, Chrome Plated, Lacquered Painted, Powder Coated, Shot Blasted and Zinc Plated. Contact us today to get your die-cast parts solutions. Copyright © 2004-2018 Bowstar Biz Management Ltd.